This is gold. 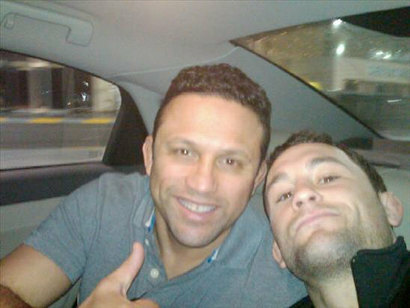 UFC champions Frankie Edgar and Georges St. Pierre training with legendary mixed martial artist and BJJ black belt Renzo Gracie. Renzo runs a very successful school in Manhattan, and it's not unusual to find him teaching some of his tricks to top level fighters.